The Sustainable Intensification of Aquaculture – One Billion Hungry: Can We Feed the World? Investing in technological innovation and transfer such as improvements in breeding technology, disease control, feeds and nutrition, and low-impact production systems, areas relatively unstudied in aquaculture, a young sector compared to agriculture. Focusing beyond the farm by using spatial planning and zoning to avoid large concentrations of producers and maintaining numbers of producers the surrounding ecosystem can cope with. Shifting incentives to reward sustainability, for example providing training, technology and water supply in exchange for operating in government-delineated aquaculture zones. Utilising the latest information technology such as remote sensing, open access data and ecological modelling to improve spatial planning and monitoring as well as increase transparency and accountability. Eating fish that are low on the food chain, species that don’t require large amounts of wild fish in their diets such as tilapia, catfish, carp, and bivalve molluscs. A second new report produced by the High Level Panel of Experts (HLPE) on Food Security and Nutrition of the Committee on World Food Security, Sustainable Fisheries and Aquaculture for Food Security and Nutrition, is a review and synthesis on current knowledge on the contribution of fish to global food security. Fish play an important role in diets worldwide, particularly in coastal and island countries where they can make up 50 to 60% of all protein consumed, and the report recommends that fish, which often receive little attention in policy, need to be fully integrated into all aspects of food security and nutrition policies and programmes. The report details the threats to fisheries and aquaculture from pollution and overexploitation to coastal infrastructural development and climate change. Aquaculture not only represents an opportunity to reduce pressure on wild fish stocks but an alternative to livestock systems which, in many cases, have higher greenhouse gas emissions and lower feed conversion ratios. 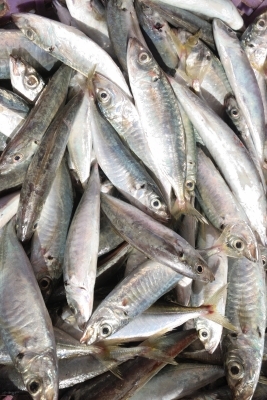 While it is estimated that more than 120 million people in the world depend directly on fisheries-related activities (fishing, processing, trading), the majority living in developing and emergent countries, the links between aquaculture and food security are unclear, made harder to discern by the large-scale international trade in fish. In Africa, small-scale, subsistence aquaculture has not led directly to a reduction in poverty and food insecurity, and focus is now moving towards medium-scale, more commercial-oriented enterprises. Initiate research on health control and food safety, improved feed stocks that do not directly compete with human foods, domestication and genetic improvement of key traits contributing to the various dimensions of food security and nutrition, integration of aquaculture in agroecological models of production at the farm and landscape levels, and improved linkages with food chain.They should put in place appropriate actions to reduce further the use of fish meal and fish oil as feed in aquaculture and livestock production, and promote the use of alternate sources as well as the production and consumption of low trophic level fish species. Greater South-South collaboration to encourage sharing and learning experience in aquaculture is also called for, and in particular developing an enabling environment to support this. Aquaculture is a growing but relatively new sector. While threats to its future ability to produce enough fish are mounting, the opportunities for sustainable intensification and development are also numerous.